Legal counsel for Atlantic City’s Borgata Hotel Casino & Spa have filed advance notice with the US District Court of New Jersey of plans to file a motion for summary judgment early next month regarding a cross-claim by noted poker pro Phil Ivey in a prominent “edge sorting” case featuring the two parties. Ivey and his playing partner, Cheng Yin Sun, filed the cross-claim in July in response to the Borgata’s own lawsuit against the pair and a third original defendant, cardmaker Gemaco, over the edge-sorting tactics employed by Ivey and Sun during four separate visits to the Borgata in 2012. Ivey, with the assistance of Sun, won $9.6 million over the span of the four 2012 visits, the last of which ended abruptly that October with the pair’s departure from the Borgata as news of a British lawsuit filed by Ivey against London’s Crockfords Casino became public. The Borgata filed its own action against Ivey and Sun (and Gemaco, as the supposed manufacturer of “defective” playing cards) in April of 2012, alleging that the complex edge-sorting scheme employed by Ivey and Sun was both a form of “cheating” and a direct violation of New Jersey gaming law, via the intentional alteration of the state-approved odds at mini-baccarat, the game in which the edge sorting occurred. However, neither the New Jersey Division of Gaming Enforcement nor the New Jersey State Police ever took action against Ivey or Sun, despite the Borgata’s attempts to have those agencies become involved as soon as October of 2012, according to recently released court documents. Counsel for Ivey and Sun filed their own countersuit in July, alleging among other things that the Borgata had fraudulently and negligently destroyed the playing cards used in the mini-baccarat games played by Ivey during some of Ivey’s and Sun’s visits to Atlantic City. 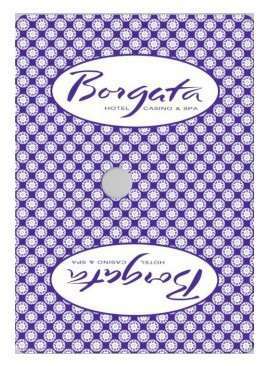 The counterclaim also highlighted Borgata’s persistent claims that the purple “Gem” style cards printed by Gemaco for the Borgata were anything but “defective,” having passed pre-inspection by both manufacturer and casino officials. The cards, according to Ivey’s and Sun’s counterclaim, were well within the contractual print variances as agreed to between the Borgata and Gemaco and allowed to be used by state gaming regulators, and it was only because of Sun’s exceptionally trained eyesight that the miniscule print variations were able to be exploited by Ivey’s and Sun’s joint ploy. As for the Borg’s soon-to-be-filed motion for summary judgment, the casino’s counsel affirms that cards from Ivey’s first two visits in 2012 — in April and May — were indeed destroyed, but only in conjunction with the casino’s own requirements to cancel or shred all used playing cards within 72 hours of their in-casino use, as required by New Jersey gaming codes. The only exception to that, according to the latest filing, is when the cards themselves are believed to have been marked or altered in some way as part of a cheating scheme, which the casino alleges began in July of 2012, in connection with Ivey’s third trip to the Borgata to play mini-baccarat. Despite the unusual requests made by Ivey and Sun in conjunction with the mini-baccarat play, the latest filing by Borg attorney Jeremy Klausner asserts that there was nothing exceptional about the results posted by Ivey, until he logged a win of nearly $4.8 million at the casino in July of 2012, his third straight large win there that year. As background, Ivey became a VIP at the Borgata soon after the casino itself opened in July 2003, and the Borgata cited two other Ivey visits — a $925,700 loss by Ivey in 2005, and a $1.1 million win by Ivey in 2006 — as evidence that Ivey’s first two 2012 wins would not necessarily be cause for alarm. The nearly $5 million that Ivey won, however, according to the latest filings, triggered alarm bells. The latest filing includes excerpt of testimony from casino supervisors stating that the cards used at the mini-baccarat table during Ivey’s July 2012 visit to the Borgata were quickly bagged and tagged, searched for evidence of marking (none was found), then sealed and forwarded to the New Jersey State Police. The latest filing asserts that New Jersey authorities are still in possession of those cards, along with similar cards from Ivey’s and Sun’s final visit that October. 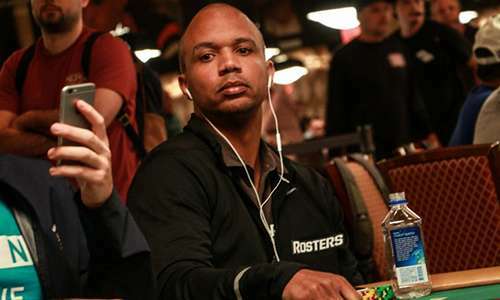 However, no reason is offered as to why the casino allowed Ivey to play that October if he was under such a strong cloud of suspicion. All the casino officials deposed in connection with the case — in excerpts seemingly cherry-picked by Klausner — professed utter innocence regarding knowledge of “edge sorting” in particular, claiming they learned of it only later when the Crockfords case involving Ivey went public. That assertion does not fit well with historic discussions of edge-sorting practices that have been documented in various casino-security environments for decades, leaving the question of negligence or incompetence by casino officials very much to the beholder. The latest filings collectively run to more than 150 pages, included excerpts of depositions taken this past March from both Ivey and Sun as well. Those excerpts shed additional light on the nature of the partnership between Ivey and Sun, previous casino ventures and scrapes involving the pair, and Sun’s own self-taught role as the “Queen of Sorts.” We’ll return to these interesting backstories in the very near future. As for the planned motion to dismiss the case, attorneys for Ivey and Sun have until October 19th to file their own opposition brief. Klausner, representing the Borgata in the case, plans to file his motion on November 2nd before the case’s presiding judge, Noel L. Hillman.